One of the largest and most impressive urban parks in the world, Mont Royal Park is one of Montreal’s crown jewels. Accessed regularly by tourists and locals alike, the venue costs nothing to visit and offers a variety of ways to enjoy the city’s green space. Biking, stroller walking, birding, and nature hikes are all part of fun. In the winter, there are even guided evening snowshoe events with mulled wine for a nominal fee. This three-building complex is located in a picturesque area of the city and boasts some exquisite examples of Canadian and international art from a number of time periods. While the museum does charge fees for visiting its rotating exhibits, all of the permanent collections are free. Since they are all world-class and extensive, this venue easily takes two full afternoons to completely explore. Their permanent collections include sections on early to modern international art, archeology and world cultures, Quebec and Canadian art, a photography and graphic arts display, and more. It’s important to note that there is no free parking near the museum, so you may want to contact the tourism office for information on a Montreal hotel that’s in the vicinity. 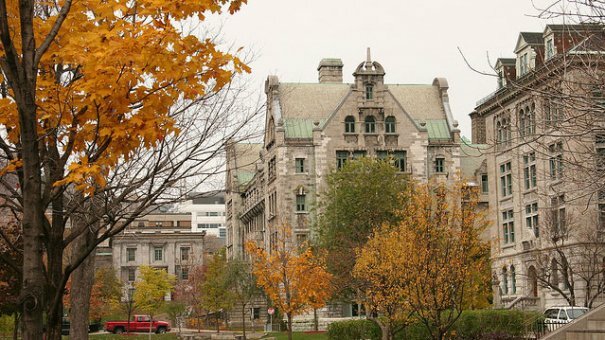 Within walking distance of Montreal’s Museum of Fine Arts is the campus of McGill University. Arguably one of the more attractive college campuses in the world, it’s a pretty place to plop down with a picnic, and it's also near a number of fun restaurants, bars, and shopping opportunities. The historical buildings, including an 1800s cathedral, add to the atmosphere. 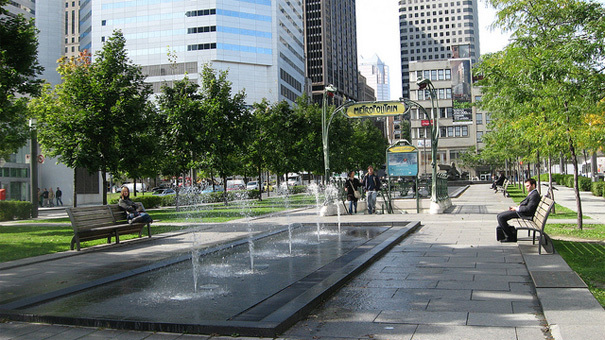 Located in the historic district known as Old Montreal, the Place d’Armes is a charming city square where you can people watch while sipping a hot coffee and planning the next stop on your city travel itinerary. 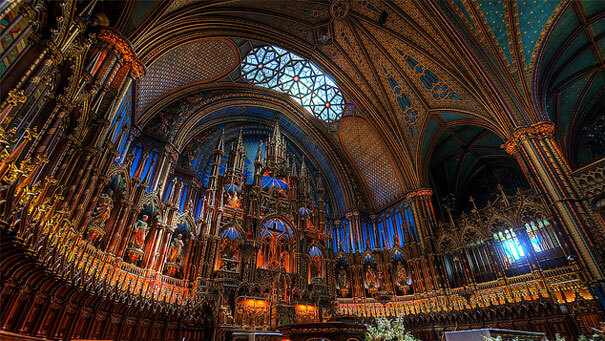 While there are several striking streets and buildings that will have you in travel photography heaven, one attraction that is not to be missed while visiting the square is the jaw-dropping Notre Dame Basilica. It’s gorgeous enough from the outside, but the interior is particularly picturesque and totally worth your tourist time. With an entry fee of $5, touring the building is definitely a budget-friendly activity. 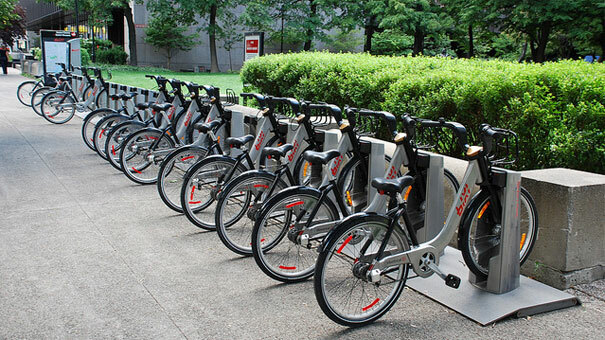 The infrastructure supporting Montreal’s public bike system is completely solar powered, and the multiple pick-up and drop-off locations throughout the city make choosing this transportation as fuss-free as possible. If you’re only there for a weekend, you may want to purchase their one-day access cards, which are available for $5 each. A public bus and subway system is also available for tourists wishing to make their way throughout the city. If you want to see a spot that’s too far to venture on foot and the thought of biking in urban traffic leaves you feeling a bit intimidated, hopping the metro is definitely an inexpensive way to go. They also have discount tickets available for families, which let adults bring multiple children along for the ride at no extra charge. 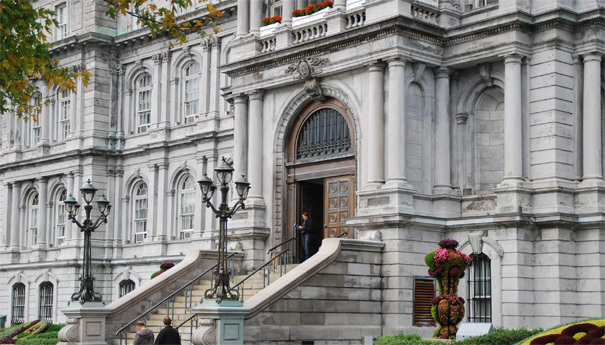 Visiting Montreal provides travelers with a great mix of historic charm and urban chic, with plenty of cultural diversity built into the experience. By incorporating some of these cost-effective items into your vacation schedule, you’ll easily be able to channel saved funds towards other memory-making activities. The city’s international food offerings, year-long festival schedule, and strong art and cultural scene are all things that grabbed my attention. Your preferences may include incorporating more museums or breaking up daily walking tours with happy hour sessions and coffee house performances. Have you ever visited Montreal? What are your favorite frugal destinations in the city? This post was made possible by support from the Tourism Board of Montreal and local businesses like La Maison Simons, a fashion clothing store in Montreal. Biking around a new city is always a great way to get around cheaply and get some great exercise! I've been to Montreal before, it is a beautiful city. If one gets the chance, they should go up for the Montreal Jazz Festival it is a great time! I love Montreal and lived there for two years. I would suggest the drumming on Mont Royal in the summer and make sure you visit the universities for free events and lectures such as cinema politica. Also lots of cheap eats around, look out for the lunch specials! ...And some of the best meals in Montreal are the most affordable ones! Certainly choose a smoked meat sandwich, dill pickle, and cherry cola from Schwartz's Deli on St. Laurent. (The oldest deli in Canada.) There's enough delicious meat in that sandwich to make it your supper, and all for under $10. I've been to Montreal twice. It's a really beautiful city. The Basilica you mention is not to be missed!